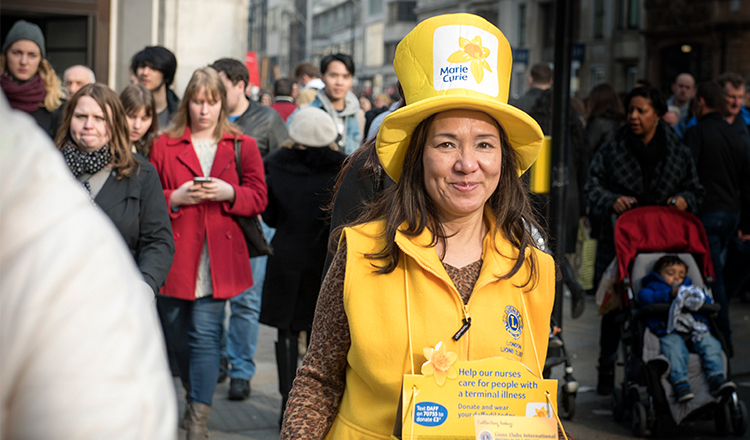 Since entering into partnership with Marie Curie in 2013, Lions Clubs' support of the Great Daffodil Appeal has been incredible. It has helped fund an amazing 31,000 hours of care for people living with a terminal illness. In 2015 the partnership was extended for a further three years. The Lions Clubs’ support of the Great Daffodil Appeal has contributed to several thousand nights of care and support at home for people living with any terminal illness and their families. Thank you to all clubs for your ongoing commitment to Marie Curie. I am extremely excited about the next two years of the partnership.